Courage, openness and a focus on the future – these are the values we associate with our company. On July 14, 1919 Eugen Russ purchased the publishing house Vorarlberger Landeszeitung — predecessor to the Vorarlberger Nachrichten. 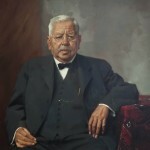 Eugen Russ (1877 – 1962) becomes editor of the Vorarlberger Landeszeitung, which until then had been operated by the publisher Müller in Bregenz. The first years were difficult, but despite economic challenges the capabilites of the print office were expanded one step at a time. The company moved to Kirchstraße in Bregenz where Eugen Russ transformed the former restaurant Gasthaus Rose into a sizeable print office. On November 16, the first issue of the Vorarlberger Nachrichten is published. 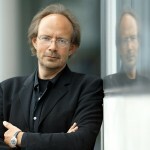 Eugen Russ is editor-in-chief. Eugen Russ buys the first dual-color printer. 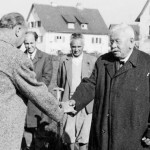 The very first Eugen-Russ-Fieldrip for the elderly and the handicapped takes place. This annual tradition is still a beloved event today. On September 3rd construction on a new offsetprint facility in Lochau begins. Eugen Russ dies. He leaves behind the Vorarlberger Nachrichten — the region’s most influential newspaper. His son DDr. Toni Russ takes over and under his management the Vorarlberger Nachrichten achieves market leadership. DDR. 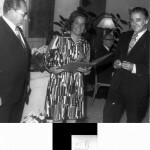 Toni Russ dies. His wife Rosa Russ becomes publisher, Richard Kempf becomes operations manager and Dr. Franz Ortner becomes new editor-in-chief. 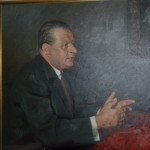 Eugen A. Russ, son of DDr. Toni Russ, becomes managing director of the Vorarlberger Medienhaus Group as well as editor-in-chief of the Vorarlberger Nachrichten. Acquisition of weekly paper “Wann & Wo”, published on Thursdays. The Vorarlberger Nachrichten is the first daily newspaper to be produced via Desktop Publishing, as well as the first newspaper in Europe to use infografics to illustrate content for readers. The MAN Roland UNIMAN-printing press is put into operation. This results in a shift from letterpress printing to offset printing. 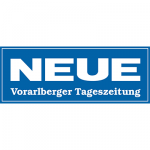 Acquisition of NEUE Vorarlberger Tageszeitung. On August 31st 1990 the NEUE, appearing daily from Tuesday to Sunday, was published for the first time in its new layout with a blue heading. The first Gerber LE55 direct-to-plate imaging system is put in operation. 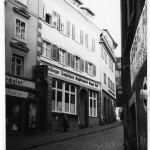 Consequently the Vorarlberger Medienhaus becomes the first media company in the world to put the computer-to-plate technology into daily practice. In September the assembly of GEOMAN No. 1 printer from MAN Roland with 4 printing towers starts. 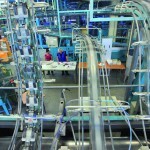 This printing press is revolutionary: The Vorarlberger Nachrichten is the first end-to-end four-color newspaper in the world. Teleport Consulting & Systemmanagement GmbH is founded. With Vorarlberg Online, Teleport contributes significantly to the development and distribution of internet access in Vorarlberg. 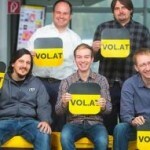 Vol.at becomes the first regional news portal in Austria. One of the most outstanding achievements is that the local portal VOL develops into a mass medium. A new headquarters is constructed next to the printing facility in Schwarzach. The entire company is moved from Bregenz to the new office. The famous architect DI Ernst Giselbrecht designed the building, which fulfills highest aestetical and functional requirements, thus reflecting the corporate culture: transparency, both internal and external. Teleport joins with cable TV providers to become the first private provider of broadband internet via TV cable in Vorarlberg. On the 1st of June, ANTENNE VORARLBERG goes on air, becoming the first private regional radio station in Vorarlberg. Eugen A. Russ takes full ownership of the Funk Verlag GmbH in Hungary, in which he had a stake since 1991. As an associate company of the Vorarlberger Medienhaus, Inform Media in Hungary maintains a similar portfolio: daily and weekly newspapers and later online portals. Inform Media starts publishing Sunday newspapers in three regions. The first regional newsportal www.haon.hu begins operations, followed by www.boon.hu and www.szon.hu. Wann & Wo adds Wednesdays to its publication days, including the print version of the .com sites. 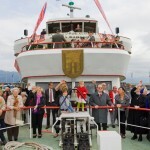 In March, Teleport launches 1036hallo!, a private telephony provider in Vorarlberg. 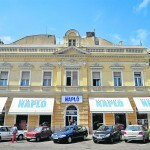 Inform Media buys two regional newspapers in Oradea/Romania: Bihari Napló and Jurnal Bihorean. In Romania further expansions follow: Inform Media GmbH launches the newspaper Jurnal Banatean in Timisoara and acquires two more in Resita (Timpul and Jurnal de Caras-Severin). In Timisorara an offset-printing facility is constructed and begins operations. 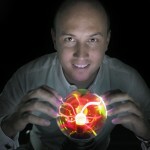 In Hungary and Romania, www.onlineapro.hu and the Jobportal www.bihorjob.ro are launched. In the north-east of Hungary free weekly newspapers (Szuperinfo) could be purchased. The glossy magazine WEEK Vorarlberg is published for the first time on the 201th of July. The magazine has an editorial focus on people, lifestyle and trends and is published every two weeks. Vorarlberger Medienhaus acquires a 100% stake in Germany-based Quoka, a publishing house headquartered in Lampertheim, near Mannheim. At the end of May, Vorarlberger Medienhaus presents the new business and lifestyle magazine “kontur”. Quoka acquires publishing house AVIS, thereby expanding Quoka’s strong classifieds web portal on a national scale. Quoka, Search & Find and “das inserat” work together to found the larges classifieds portal in Germany. On the 7th of June, the company’s flagship newspaper Vorarlberger Nachrichten is awarded “Newspaper of the Year 2006” at the 59th world congress of newspapers in Moscow. Quality journalism, innovation, use of multimedia and economic efficiency are the principle criteria. Further job, real estate and car portals are launched. At the end of 2007, the Vorarlberger Medienhaus Group launches the wholly owned investment subsidiary “VM Digital” in order to speed up the increase of its online businesses. VM Digital (today Russmedia Digital) is a group of classifieds and special interest websites in Germany. The company additionally invests in minority stakes. CV Online, the leading job portal in Hungary is bought. Furthermore the Szuperinfó Hungary group is acquired – along with the franchise network of Szuperinfó with 68 newspapers across Hungary. With VOLmobil, the Vorarlberger Medienhaus is the first regional provider of mobile telephony and reseller for the Apple iPhone. 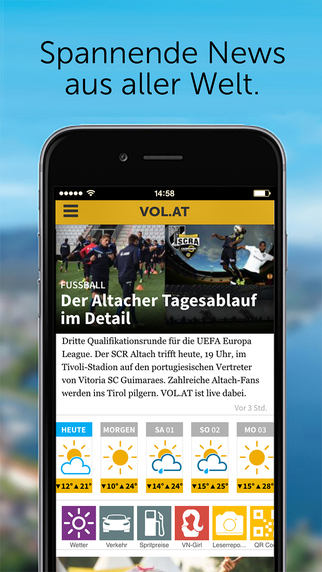 VOL is the first german-speaking news portal app for the iPad and is released even before the iPad is officially available in Austria. 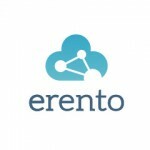 Inform Media (Russmedia CEE) launches further niche portals and acquires the free weekly magazine Budapest Piac, which has a weekly circulation of 700,000.
erento.com, the world’s largest online market for rentable goods, is acquired and marks an important step in the growth and internationalisation strategy of the company. The first edition of the society magazine “Die Vorarlbergerin” appears in September. In October Medienhaus.com (today Russmedia Digital) makes the very first HTML5 news app in the German-speaking world available on iPad. 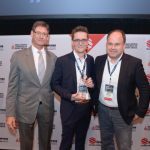 Russmedia Digital is recognized as the first sales partner for Google AdWords in Austria and, asa premium SME partner, is part of a unique group of highly qualified companies that have achieved this status. 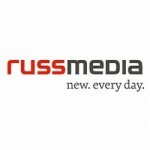 Medienhaus becomes Russmedia — the most progressive multi-niche media company in Europe. Russmedia Digital receives 4 “Local Media Awards” in the United States. Russmedia Digital wins two awards at the INMA Awards in San Francisco: Second place in the category “Best New Mobile Service” and third place in the category “Best Marketing Solution for an Advertising Client”. Successful premier of a new convention in Dornbirn: The international conference for marketing, technology and innovation “Interactive West”. Russmedia wins two awards at the INMA Awards in San Francisco: Second place in the category “Best New Mobile Service” and third place in the category “Best Marketing Solution for an Advertising Client”. Europes largest independent online ski equipment lender, ALPINRESORTS.com, brings Russmedia further growth. As a cornerstone investor Russmedia invests with SpeedInvest – the largest ventur capital company in Austria. 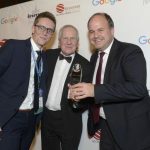 Russmedia Digital wins the INMA Global Media Award in the category „Best Native Advertising“ at the World Congress in Harvard Club in New York. Russmedia was again awarded 5 INMA Global Media Awards. Today Russmedia sees itself as the most progressive multi-niche media company in Europe. The Russmedia portfolio is made up of 2 newspapers, 6 weekly papers, over 40 web portals and apps with 44.1 million visitors/month and 330 million page impressions/month. Russmedia employs 1000 employees at 14 locations in Europe. The head office of the Russmedia group is in Schwarzach/Austria. We deliver a top-notch performance every day: VN was the first completely four-color printed newspaper in the world. Russmedia has always stood for the early implementation of the newest technologies. Here changes aren't feared, but rather seen as opportunities.